Whil. offices reside on the top floor in a 100 year old building in Vancouver’s Gastown. 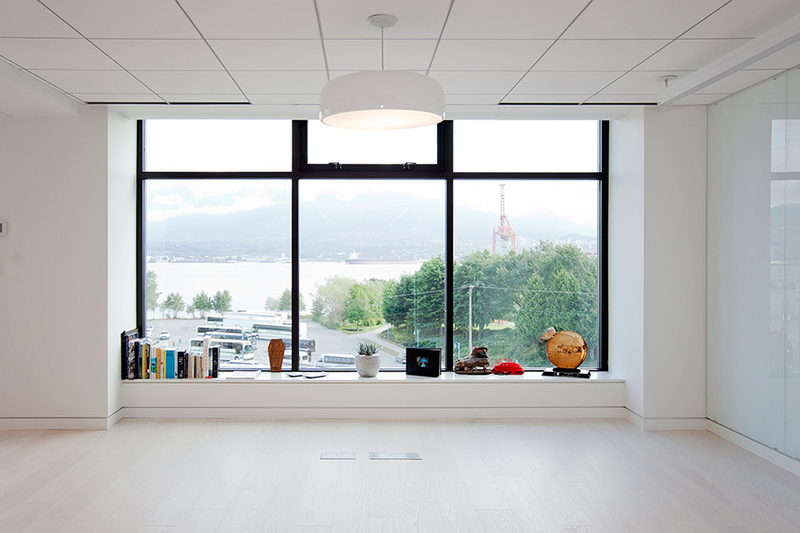 In addition to Whil, a private office for Lululemon founders Chip and Shannon Wilson, the space houses two other companies and a charity, requiring some separation within the shared walls. As lead design consultant, we were responsible for all interior design and specifications, consultant coordination, permit applications and construction documents. Programme components included: reception, sample storage, meeting rooms, private offices, staff assembly space, lounge space, multi-function space, and washroom facilities. 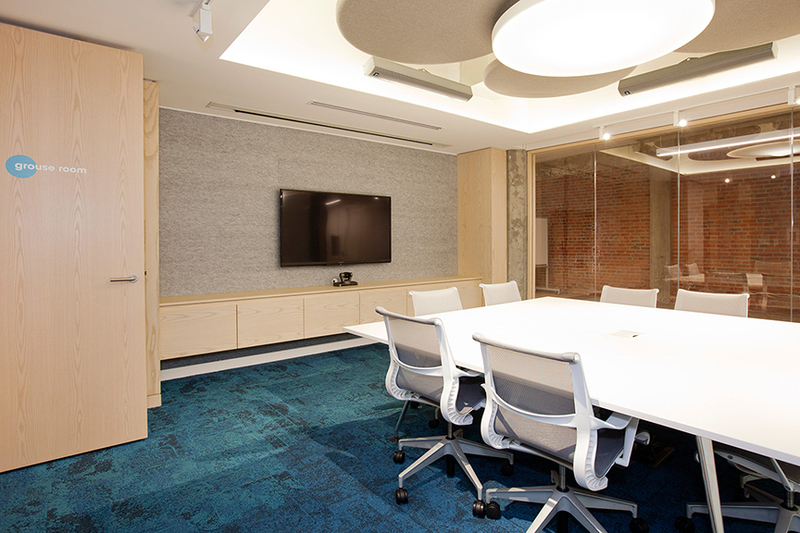 As a contrast to the existing rusticated concrete structure, a modern and light ash wood palette was combined with neutral coloured felt wool hanging panels and white workstations to create a serene and calming work environment. 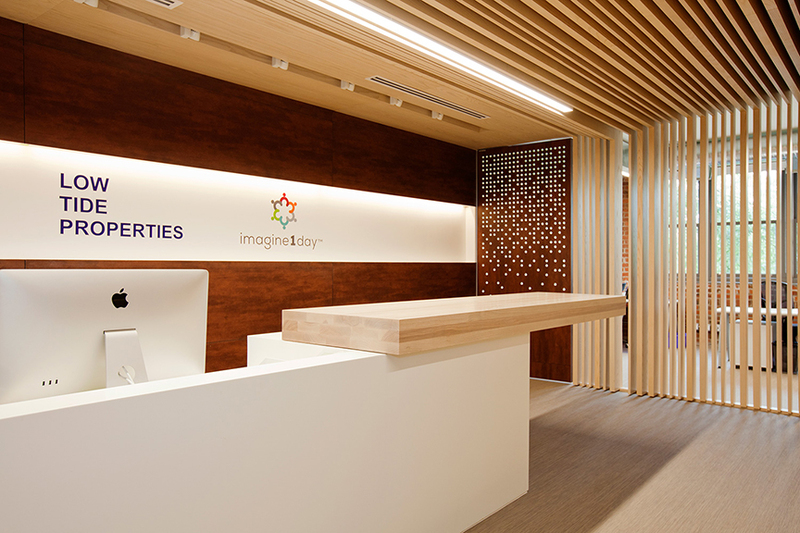 Features include a cor-ten steel reception wall and perforated privacy door, a solid ash bar top for gathering at the front desk and a central meeting room with felt acoustic walls and ceiling panels by buzzispace. The kitchen features a marble and solid ash countertop combined with an acoustic buzzispace shade. 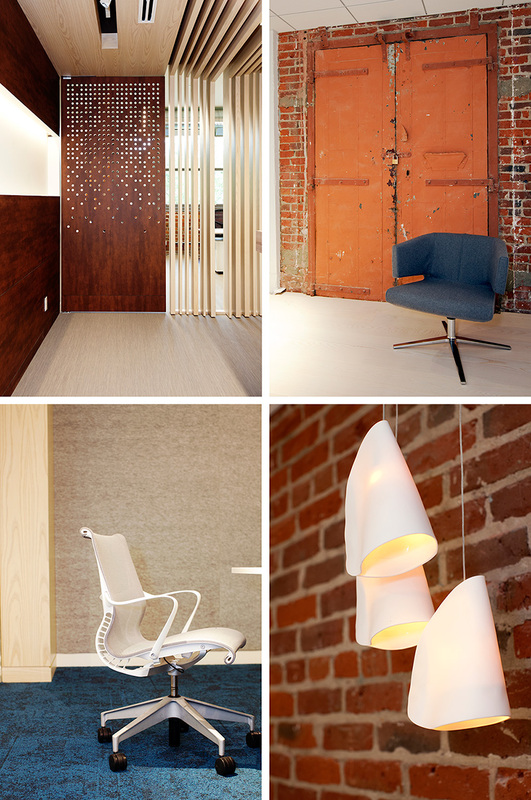 Sliding felt panels by filzfelt create temporary separations for privacy when required.